If you serve government clients, you should be prepared to support your management compensation and bonuses as the year end approaches. There is increased concern among various segments of our public sector clients over compensation and bonuses in A/E firms. Even if you have not encountered any scrutiny of these issues in past years, you should expect that increased attention will be paid to these areas through the remainder of 2010 and in 2011 proposals. The revised American Association of State Highway and Transportation Officials (AASHTO) Audit Guide, made effective January 1, 2010, contains specific guidance on what constitutes reasonable costs for firms. This guidance applies to both prime and subconsultants for state Departments of Transportation (DOTs). U.S. DOT is increasing their scrutiny of Local Project Administrators (LPAs) and expecting these administrators of federal grant funds to adhere to the same guidance as in the AAAHTO Guide. This applies to highway grant funds passed from a state to a local government, transit grants and airport grants. The Defense Contract Audit Agency (DCAA) has acnowledged the issue raised by the Office of Inspector General (OIG) report on transportation firms, and has stated their intent to apply increased oversight on federal agency contracts. Several states have committed to adhering to the AASHTO Audit Guide requirements even if design fees are funded by the state and federal rules are not a requirement. You should expect that many of your government clients will devote more attention to management compensation and bonuses, starting with your 2010 records. 1. Support for management salaries to demonstrate they are reasonable given your firm’s size, location and types of services provided. Generally, this requires that you have survey support for base salaries paid. 2. Written position descriptions that indicate all of the duties of individuals or staff categories. 3. Compensation testing for reasonable compensation and the remove of any excess compensation from your cost submissions. Auditors should no longer do this— they should only review and accept or reject your proposed costs. How the total bonus pool is determined. Employees (at least by staff type) that are eligible to participate in the bonus plan. The factors that are considered in determining bonuses. These may be either objective (such as chargeability, project profits, etc) or subjective (such as client satisfaction). You do not need to prioritize or weight these factors, but you must list the factors that will be considered. How the plan is administered — who determines bonuses and when the bonuses are paid. Note that owners (principals) may participate in bonus pools, but you should have a separate explanation for any awards that are distributed based on ownership, as these are unallowable distributions of profits. The owner rewards do not have to be cash— they can be stock appreciation or other long-term gains, but you need to distinguish owner rewards separately from employee bonuses. The biggest issue is likely to be documentation that can be reviewed. Many firms have long-established bonus plans that are followed every year but are not formally written. Unwritten plans are no longer acceptable under the AASHTO Audit Guide. If you are a superior performing firm, having surveys that demonstrate that your compensation is reasonable is not enough. In order to qualify as a superior performing firm— and qualify for above average compensation— you will need to document your superior performance, as compared to other firms. Was this news to you? If so, there’s a whole lot more you may not know about working with a government client! For starter, your accounting practices must be compliant with the Federal Acquisition Regulation accounting requirements. Failure to comply could result in the loss of future business, reduced fees, and even criminal penalties in extreme cases! Join PSMJ this spring for Jail Time for Overhead Rate Errors to learn all you need to know to ensure your firm is 100% compliant with the regulations set forth in the AASHTO Audit Guide. Don’t risk lost projects and significant jail time by being non-compliant – register today! The American Institute of Architects’ Architecture Billings Index showed signs of improvement in December, as more firms reported increasing firm billings than declining for the second month in a row. This marks the first time in three years that this has been the case, which leaves way for cautious optimism going into 2011. The ABI recorded a score of 54.2 for the month of December, the second month in a row above 50. Any score above 50 signifies growth at U.S. architecture firms, but until the index remains above 50 for a least three consecutive months, there is no strong evidence of a true economic upswing. Another month of billings growth may offer hope for a real improvement in the architecture industry, but if history serves as a reminder, there is no guarantee of a steady economy. On a positive note, the unemployment rate fell to 9.4 percent in December, and 103,000 jobs were added. The Federal Reserve’s most recent edition of the Beige Book survey indicated that slight expansion continued in November and December. It also showed that commercial construction remains slow and residential real estate markets weak. Commercial leasing, however, is on the rise in Richmond, Chicago, Minneapolis, and Kansas City districts. Furthermore, healthcare, public infrastructure, and multifamily housing are reported to be the primary drivers of new construction. On a regional level, December’s ABI was somewhat reassuring. Business has improved in three of the four regions of the country; the South, Northeast, and Midwest. While billings remain weak in the West, the index score has been improving slightly in recent months, and business may begin picking up for the first time since mid 2007. Also, the three major construction sectors each reported growth for the second month in a row in December. This is the first time that this has happened since June and July of 2007, and certainly shows some sign of recovery. The AIA has also started collecting data on backlogs at architecture firms on a quarterly basis. In December, the largest share of firms (32%) reported backlogs averaging between one and three months, with an additional 30% reporting backlogs between three and six months. While backlogs remain relatively low at this time, they should begin growing as business picks up, especially as we enter spring. By market sector, the ABI breaks down as follows from November to December: Residential is up 60.1 from 54.3, Institutional is up 50.6 from 49.3, Commercial/Industrial is up 52.7 from 49.8, and mixed is up 47.8 from 45.8. By region Northeast is up 55.3 from 51.1, West is down 48.4 from 48.7, South is up 54.8 from 50.5, and Midwest is up 52.9 from 50.9. If you’ve recently conducted a Client Satisfaction Survey, you understand knowing what your clients and/or potential clients think of your firm is essential to developing strong relationships, client services strategies, and effective project management and marketing skills. But after they tell you what they think, what’s the next step? 1. Have the lead partner on the most recent assignment call the client or set up a meeting to discuss his or her responses to the survey. 2. If you spot a trend in the responses, offer a seminar on the topic and invite those clients, plus any others you may have identified that would be interested in the subject. 3. At the least, send a thank you letter, signed by a principal or partner the client knows. Finally, it pays to double-up on your follow-up. Contact the clients again, to get their response to the action you took. It may lead to an opportunity to present additional services. If you haven’t done a Client Satisfaction Survey in a while, it is imperative that you conduct one as soon as possible so that you don’t waste precious resources chasing clients you shouldn’t and risk losing clients you should hold on to. But where do you start? If you are looking for a client satisfaction survey that will save you time and money, we can help. PSMJ, in partnership with DesignFacilitator, has developed a cost-effective survey program to measure client perception and satisfaction that yields rich, highly useful information for the success of your firm. In conjunction with this survey program, we introduced the PSMJ Premier Award for Client Satisfaction, the A/E/C industry's first client-focused accolade. This award honors firms that consistently provide their clients with top quality communications, impressive performance, and high-value solutions. By entering this award program, you will get independent, confidential feedback from up to 40 of your most important clients. Additionally, if you win, you will have the advantage of marketing your firm as award-winning in client satisfaction. At only $595, this is a great opportunity to jump-start a client feedback initiative and prove the importance this information has for your firm. Click here to enter or email Kristen Norweg at knorweg@psmj for more details. If your firm wants to compete more aggressively in its market sector, then you’ll need to develop a sense of ownership in your staff— a sense of really being part of the business and knowing how their part affects the outcome. In two words…Employee Engagement. Communicate more frequently and thoroughly with staff about the numbers that drive the business. Give people a much more comprehensive insight into the big picture and how each employee fits into it. Go out of their way to instill pride in everyone (not just technical staff). Become better coaches and more effective listeners. These steps would only be the beginning. It takes commitment to change a culture. Such a change would mean tearing down walls that convey a “me and them” mentality. With strong, long-term leadership, all of this and more is doable. Want to know more about engaging your employees and becoming more successful in the industry? Learn new ideas and share Best Practices with other A/E/C HR colleagues and leaders at PSMJ's Annual Human Resources Summit in Orlando, FL, March 16-18, 2011. The A/E/C Industry Human Resources Summit is a senior level HR event specifically designed to address the increasing needs and demands of senior leaders of HR, as well as other key executives who deal with the critical employee and firm issues on a daily basis. Through panel discussions and best practices presentations, you learn through examining successful real-life case studies, receive A/E/C survey results, while networking and asking your peers for their proven solutions to problems just like yours. Fundamental to making better margins is keeping your team as small as possible. The more moving parts your design “engine” (team) has, the more complicated the communications, coordination, and collaboration. For example, Mary and Sam are both assigned to your project to the tune of 10-20 hours per week. They perform similar duties. That means you now need to constantly communicate with both of them to be sure they are coordinating their work and using a consistent approach. And when you find (as you invariably will), that the coordination and consistency isn’t what you want it to be, the next step is rework, that nasty activity of re-doing something that should have been done correctly the first time. The way to minimize this problem is by keeping your teams as small as possible. Even if using a smaller team means authorizing paid overtime. Even if you have to pay time-and-a-half. That premium payment will pale in comparison to the price paid for re-work. And don’t get too hung up on getting people with the specific experience level for each assignment. Even if you have to pay a higher hourly rate for a more experienced person, you will be better off in the end. As long as they have the basic skills and are motivated to do a good job, you are much better off with fewer people. How a proposal is written is just as important—if not more—than the content itself. If distracted by the format, wording, or organization of the proposal, the client may not even take the time to consider what your firm has to say. 1. Sentence structure - Sentences should be clear and concise. Longer sentences may often be necessary, but a good test is to go back over the material and see how many sentences can be cut down. Mixing long and short sentences improves the rhythm. Word length is a good gauge of readability. 2. Word choice - Remember, you are writing for the client, not yourselves. Avoid technical jargon and use terminology that the client is familiar with (Not a problem if you’ve done your research and understand your client!). Use action words whenever appropriate (i.e. “We will complete the project on time.”), as well as simple, present and future tense verbs. 4. Grammar - During the drafts of the proposal, have a strong editor review it looking for inconsistencies in content, format and style and grammatical and typographical errors. Typos make a proposal look unprofessional and thrown together. Looking for more tips like these to help you bring home the win! A/E Marketing Journal is your guide to making connections, attracting great clients, winning proposals, and making relationships with clients that last decades. Each issue of PSMJ's A/E Marketing Journal delivers dozens of fresh approaches and proven-effective strategies to help your marketing and business development efforts succeed, including how much to spend on business development, the importance of social marketing as a cost-effective tool, letting marketing strategy drive your marketing tactics, and getting "a seat at the table." Order PSMJ’s A/E Marketing Journal today and start getting the marketing and business development advice you need for success in 2011. 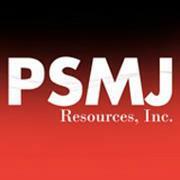 Visit our website, email customerservice@psmj.com, or call (617) 965-0055 today!